Trịnh Công Sơn (February 28, 1939 – April 1, 2001) was a famous Vietnamese composer, musician, songwriter, painter and poet. He, along with Phạm Duy and Văn Cao, is an important figure in modern (non-classical) Vietnamese music. Many of Trịnh's songs are love songs. Others are anti-war songs, written during and about the Vietnam War; some of them were censored by the southern Republic of Vietnam and later by the Socialist Republic of Vietnam. Many performing artists, most notably Khánh Ly, have interpreted Trinh Cong Son's music. Sơn was born in Buôn Ma Thuột, Đắk Lắk Province, Vietnam, but as a child he lived in the village of Minh Huong in Hương Trà in Thừa Thiên–Huế Province. He grew up in Huế, where he attended the Lycée Français and the Providence school. When he was ten he lived with his father in Huế's Thừa Phủ Prison for a year in 1949. Later he went to Saigon and studied western philosophy at the Lycée Jean-Jacques Rousseau, from which he graduated with the baccalaureate degree. In 1961, he studied psychology and pedagogy in a school for teachers in Qui Nhơn in an attempt to avoid being drafted into the Republic of Vietnam Military Forces. After graduation, he taught at an elementary school in Bao Loc, Lâm Đồng. Trịnh Công Sơn wrote over 500 songs, and, during the 1960s and 1970s, Trần Văn Dĩnh dubbed him the Bob Dylan of Vietnam in Peace News of 8 November 1968 for his antiwar songs. Trần Văn Dĩnh's comparison has been attributed to Joan Baez, but there is no record she even mentioned him. However many young Vietnamese considered Sơn the Bob Dylan or the Joan Baez of Vietnam. He became one of South Vietnam's notable singer-songwriters, after his first hit, Ướt mi (Tearing Lashes) in 1958. He was frequently under pressure from the government, which was displeased with the pacifist's lyrics of such songs as Ngủ đi con (Lullaby, about a mother grieving for her soldier son). Before April 30, 1975, he went on the radio in Saigon to sing the song "Joining Hands/Circle of Unity" ("Nối vòng tay lớn") about the dream of national reconciliation between the North and the South, which he had written in 1968. On the afternoon of April 30, following Dương Văn Minh's proclamation of surrender, Trinh went on the radio to say that the national dream had been realized and that liberation had been achieved. After the reunification in 1975, Trịnh Công Sơn was sentenced by the new communist government, to "retraining" in a labour camp after his family had fled to Canada. However, he was eventually honoured by the government and many officials sent their respects with floral tributes. His often melancholic songs about love and postwar reconciliation earned new acceptance and popularity in later years. Many of his songs have been re-licensed to Vietnamese music companies such asThúy Nga and Lang Van and sung by other artists. There are two singers' names often associated with Trịnh Công Sơn. One is Khánh Ly. The other one is Hồng Nhung. Khánh Ly helped popularize Trịnh Công Sơn's music in the early years. They often performed together in South Vietnam University campuses. Later on in his life, Hồng Nhung (born 1970), many years his junior, replaced Khánh Ly's place until his death, breathing new life into his songs. Hundreds of thousands of people gathered at his funeral in Ho Chi Minh city, for a spontaneous ad hoc funeral concert, making such a spectacle the largest in Vietnamese history, next to the funeral procession of Ho Chi Minh. In the song "Mother's Legacy" (Gia tài của mẹ), Trinh sings about the Vietnamese experience of the Vietnam War: He laments that the 1,000 years of Vietnam's subjugation to Chinese imperial rule, the 100 years of subjugation to French colonial rule, and the ongoing civil war, together have left a sad legacy of graveyards, parched fields and burning houses. He urges the children of Vietnam to remain true to their Vietnamese identity and overcome the dividing hatred, put an end to internecine fighting and the destruction of the country. In the song "Song about the Corpses of People" ("Hát trên những xác người"), written in the aftermath of the Huế Massacre, Trinh sings about the corpses strewn around the city, in the river, on the roads, on the rooftops, even on the porches of the pagodas. The corpses, each one of which he regards as the body of a sibling, will nourish the farmland. Love is the single biggest recurring theme in Trinh's work. His love songs constitute the majority of the songs. Most of them are sad, conveying a sense of despondence and solitude as in "Sương đêm", "Ướt mi". Songs are either about loss as in "Diểm xưa", "Biển nhớ", or nostalgia: "Tình xa", "Tình sầu", "Tình nhớ", "Em còn nhớ hay em đã quên", "Hoa vàng mấy độ". Other songs, additionally carry philosophical messages from a man to his lover: "Cỏ xót xa đưa", "Gọi tên bốn mùa", "Mưa hồng". The style is sly, simple, suitable to be rendered in Slow, Blues or Boston. The lyrics are overwhelmingly poetic, candid and yet deeply poignant, oftentimes hinting elements of symbolism and surrealism. Jump up^ Shepherd Continuum encyclopedia of popular music of the world 2005 p.228 "Trịnh Công Sơn"
"Trinh Cong Son’s love songs hit Hue palace". Tuoi Tre. 2011-03-30. Archived from the original on April 2, 2011. Jump up^ Tạ Tỵ 10 Khuôn Măt Văn Nghê Hôm Nay 1971 "Trần Văn Dĩnh da nói dieu trèn a bân tin, nhan de : "Bob Dylan cûa Viêt Nam" ("The Bob Dylan of Vietnam") trong Peace News ngày 8-11-1968. Va y Bob Dylan là ai? Bob Dylan là nhac sï My trê, thuoc thành phân phân chien. Bob Dylan không không phài tên thât, chï là biet hiêu." 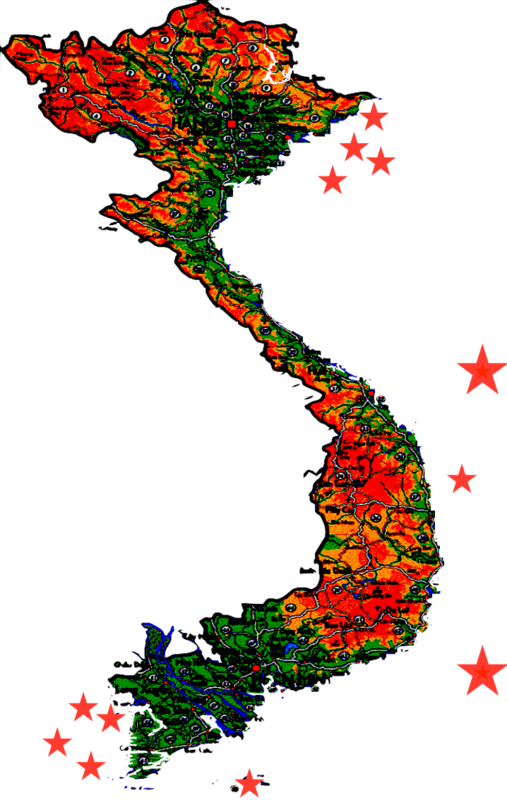 Jump up^ Vo, Nghia M. Saigon: A History p137 "In "It Is We Who Must Speak", Sơn told people to rise and demand the unification of the country—under whom, he did not say—as well as to refuse to participate in a fratricidal war and to stack up their weapons. Many young Vietnamese considered Sơn the Bob Dylan or the Joan Baez of Vietnam. Sơn, in turn, was influenced by the shrill demands of American anti-war protesters, which had been brought to Vietnam by none other than young American soldiers." Jump up^ Nghia M. Vo Saigon: A History 2011- Page 137 "Trịnh Công Sơn in "Who's Left Who Is Vietnamese" advised combatants to open their eyes, for there were only Vietnamese fighters around and by that time one million of them had died during the war. Turn over the human corpses, the lyrics said, and one could only see Vietnamese faces. "